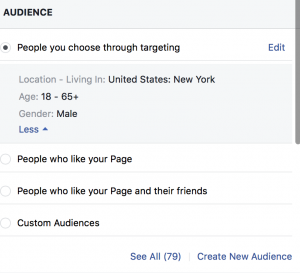 There are many bells and whistles on Facebook that most users know nothing about. 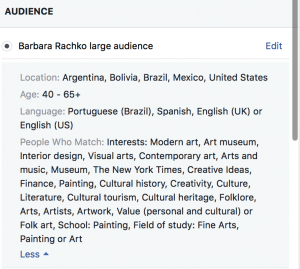 A few tweaks, following the steps below, allow you to focus your social media efforts, so that your posts reach carefully tailored audiences—your “target market.” These are the readers of newsfeeds who are most likely to be interested in your art, and the steps below offer an efficient and effective way for you to generate maximum engagement. So how do you define your target market? Look at your current customers: Who are they? Why do they buy art from you? What are their common characteristics and interests? 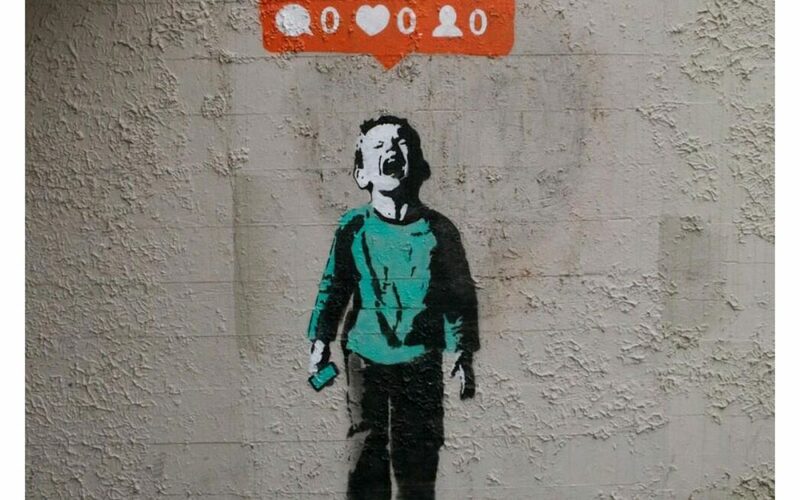 Check out your competition: It’s worthwhile to see what those in your genre are doing on social media. What kind of posts are most successful? Who are they engaging? 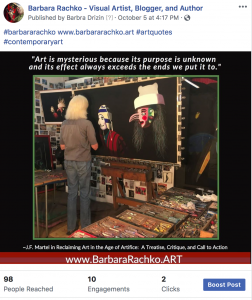 If you are, for instance, an artist who works exclusively in encaustic, you probably know others working in that medium,Take a look at their posts to see which get the most comments and feedback. 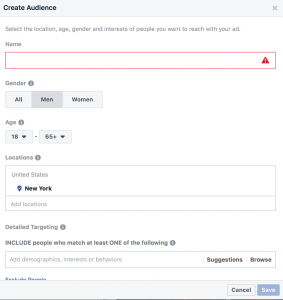 Think about the demographics of those you wish to target, specifically the age group, gender, location, and interests. 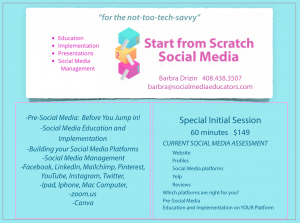 Let’s go to your Facebook business page to begin. 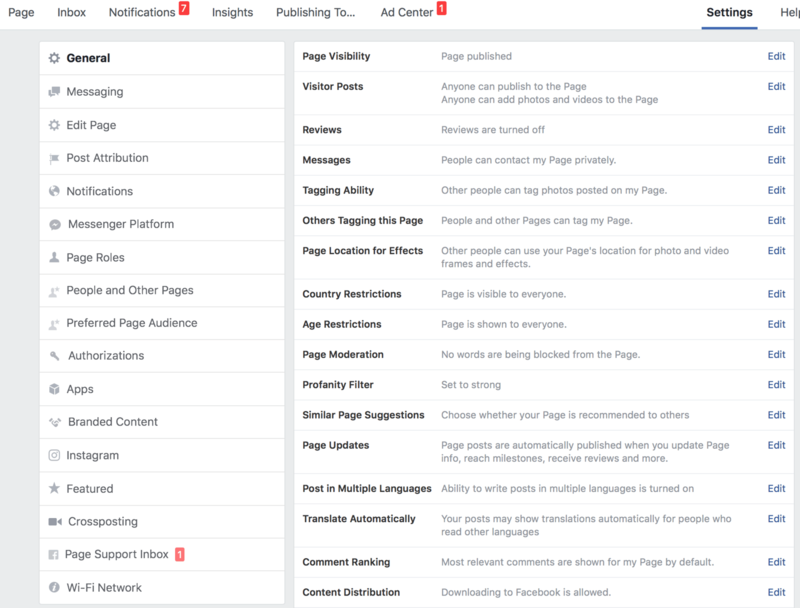 Your Facebook business page has a DASHBOARD at the top. On your Page Dashboard click SETTINGS, then click GENERAL. 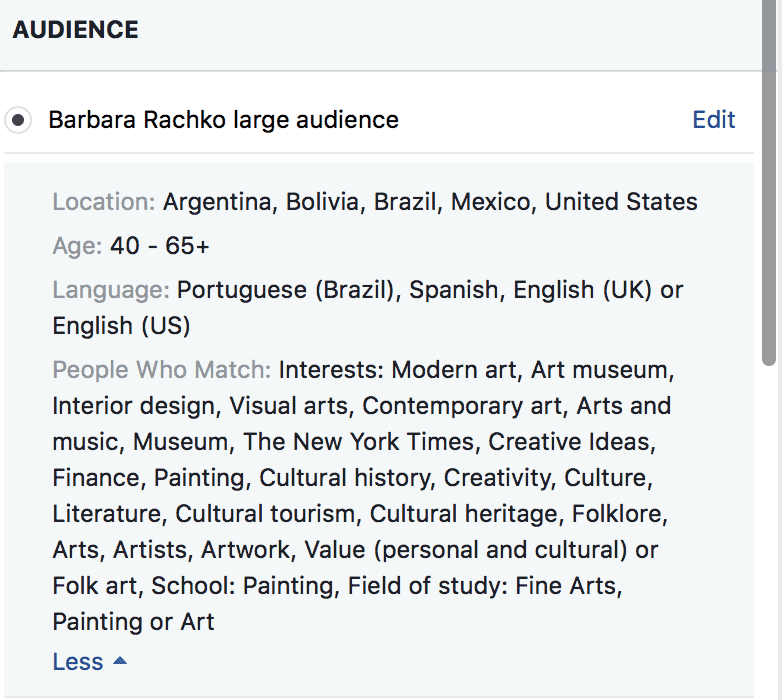 Here we can begin by choosing “Country Restrictions,” and “Age Restrictions.” (For example, Barbara might limit her posts to the United States, Canada, Bolivia, Mexico, etc., because the nature of her art appeals largely to collectors in the Western hemisphere, and specifically South America. And her age audience is 35 to 65. Only two settings will concern you here: Country Restrictions and Age Restrictions. After filiing in these sections, click SAVE. Why would you boost a post? 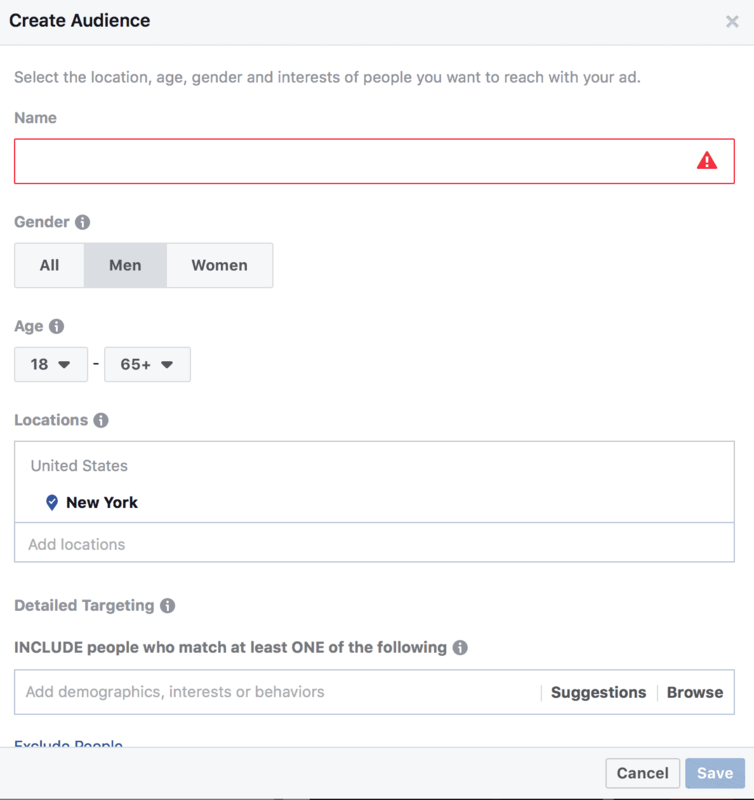 Boosted posts are a type of ad feature on Facebook. Boosted posts appear higher up in news feeds than non-boosted posts and are served to your specific audience. 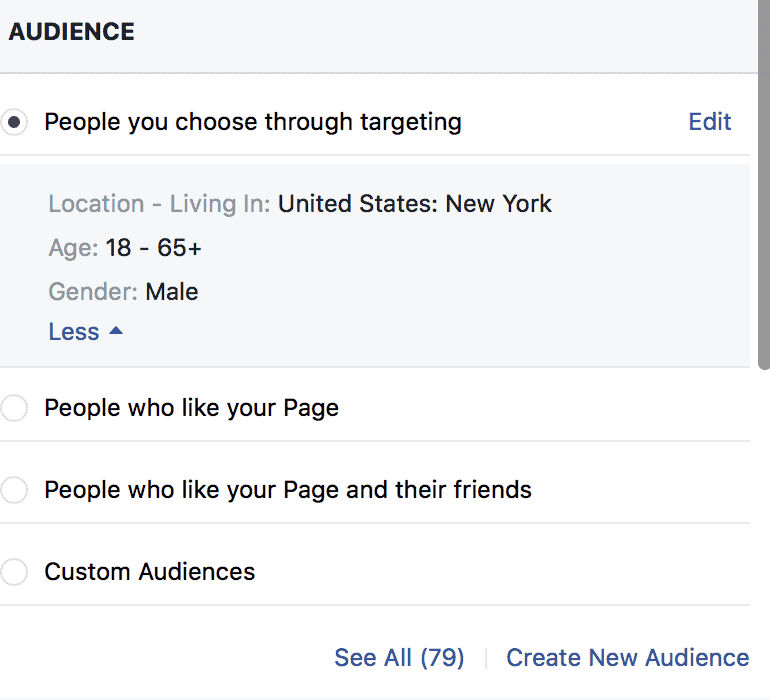 You can boost a post for as little as $5. I like to boost a variety of posts, and see which type of posts generate the most engagement. 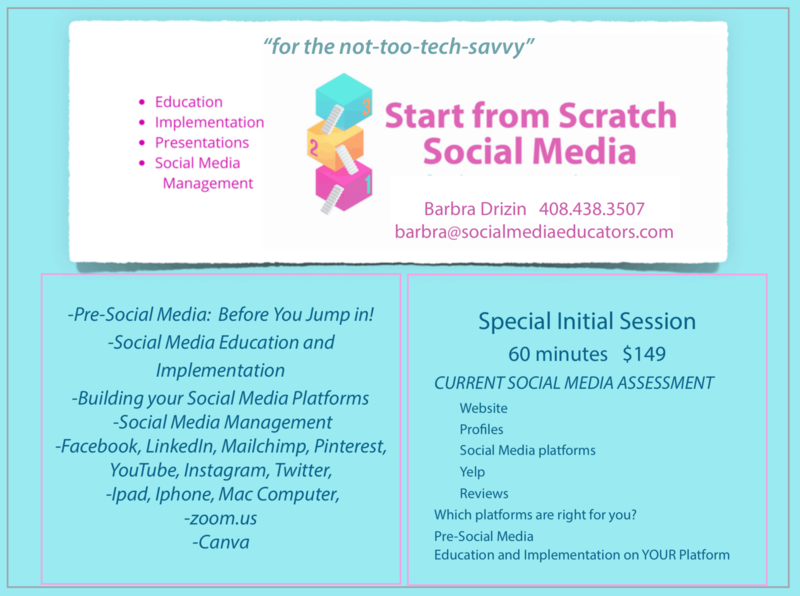 Remember: I can meet with you anywhere using the Zoom platform, which allows me to talk with you face to face, and then share my screen and teach and implement on your social media page.Would you like to learn more about saved audiences and boosted posts? For the Vasari21 community I offer a special $129 for this hour of instruction on the topic of your choice. Jamie: I thought Barbra made some useful points about using Facebook to define your market. Her offer to help (indeed, at a price) appears only toward the bottom of the post, not in the body of the text, but perhaps it is too much. I’ll mull it over. 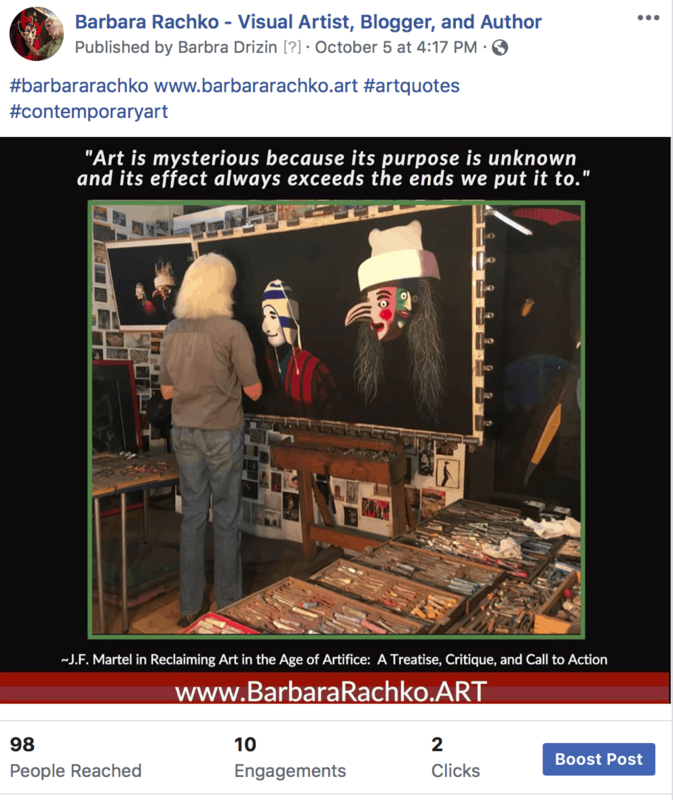 And she does use Barbara Rachko as a case history….and if you read last week’s newsletter, Rachko now has about 35,000 blog subscribers and has scored a couple of interviews, thanks to Barbra Drizin’s advice. The intent here is to allow Vasari21 readers to give this a try themselves and see if it works. It’s not a pitch for Drizin’s services, which she offered here without payment from the site. It’s my pleasure to write these social media posts and to work with Ann, who is so committed to providing artists with the best resources.